Do we ever stop wanting our Mommy? I must confess, sometimes other Moms can be kind of scary. Sorry Moms, but it is true! I find Moms are like a hungry Mama black bear with an estrogen deficiency trying to protect their cubs on a very serious schedule! Yes, we are. The worst part is that we are all trying to pretend we aren't. I know, it sounds ugly. It is not. It just is. 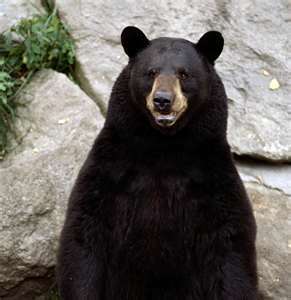 Besides, all of us Mama bears all have a common instinct. We love our babies more than anything and will move heaven, earth and even another "Big Mama Black Bear" to make our kids happy. So to all my fellow "Mama Bears," here is just what you need, to reach out to all those "other" scary Moms. Just click on this link, then order your FREE gorgeous, intimidating letter pressed, customized just for you; Mommy Cards. Bear in mind (get it "bear" *ha ha*) anyone can order these cards, you don't have to be a "Mommy" -that is just the promotion). 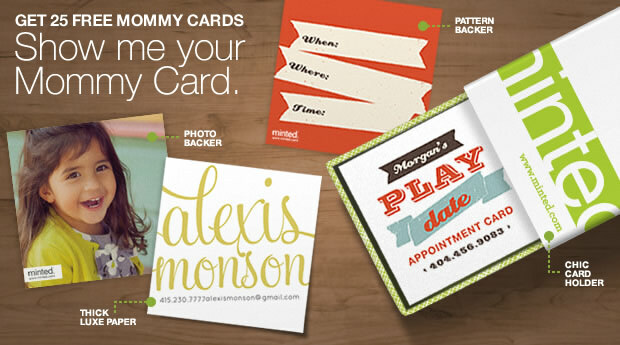 These cards will show all those other "Mama Bears" that you mean business! They won't mess with "this card carrying Mama Bear," and they better not miss a play date! Because I will have 24 more cards to give out if they don't want to be my friend. So there! PS: Don't forget, there is still a Pottery Barn gift card available, so tell me how you really feel! These cards are dandy! There are so mnay wonderful designs to choose from. I can't wait to hand this to one of those scary mommies and see the look on her face when she realizes my awesomeness! Ahhhh, the simple joys in life can be free!!! I think I'm more of a teddy bear. Wait, are teddy bears secretly controling? oh shoot! Well, the cards are too cool! love them.